Published by Blowfish Studios (who is no stranger to space games) and developed by Mistfly Studios, Subdivision Infinity DX is a sci-fi 3D shooter set to release in early 2019 for the PlayStation 4, Xbox One, and Nintendo Switch. This release window announcement trailer shows off asteroid filled areas, space stations, and shoot outs. With electronic music pulsating in the background, this game wants to remind you of the early 2000s, while simultaneously trying to tap into NES era classics Gyruss, Life Force, and The Guardian Legend. 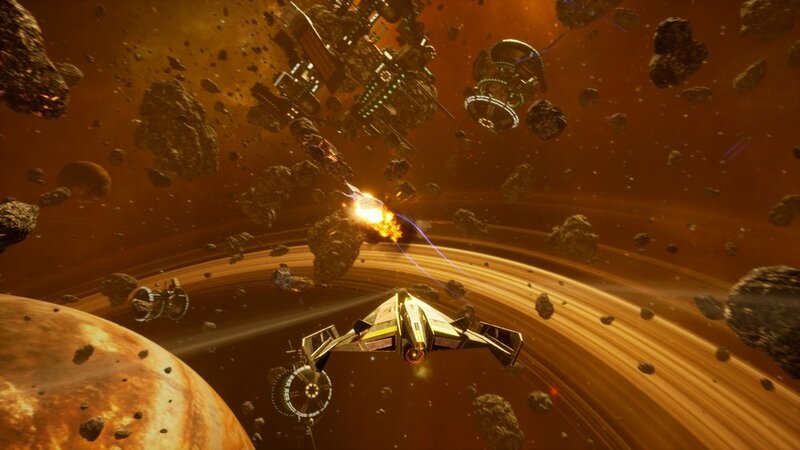 With more than 40 engaging story missions and sidequests spanning several star systems, Subdivision Infinity DX is an action-packed journey brimming with dogfights, boss battles, and more set against the stunning wild outer reaches of the cosmos. Do you think you would play Subdivision Infinity DX?